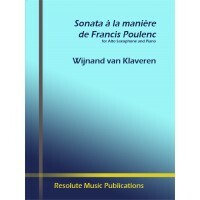 by Robert Lemay. 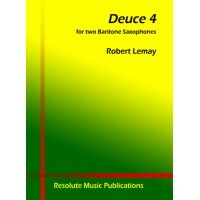 For 2 baritone saxophones.Dedicated to Henrique Portovedo and Jeffrey E. Vickers, D..
Christian Lauba's 28th concert étude, Ennéa, is for solo soprano saxophone. 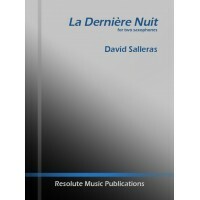 Dedicated to Joonatan Ra..
An exciting new duo for saxophones by David Salleras! 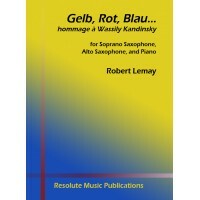 Can be played with instrumentation of soprano/..
New trio by Robert Lemay, for soprano sax, alto sax, and piano. 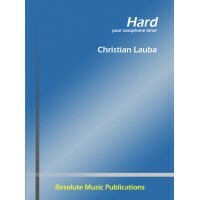 Arranged for Kenneth Tse and Jean-Mi..
2nd edition of the famous solo by Christian Lauba. 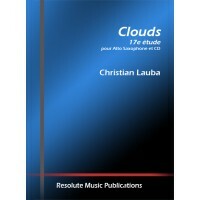 Newly engraved with corrections by the composer, ..
by Christian Lauba.Dedicated to Nicolas Prost, Christian Lauba's 17th concert étude Clouds is for al..
by Wijnand van Klaveren.This piece in three movements plunges us into the precision and subtlety of ..
by Hiroyuki Itoh. 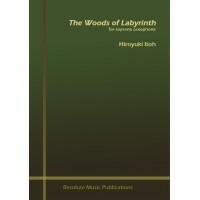 For solo soprano saxophone, the famed Japanese composer presents a new work with c..